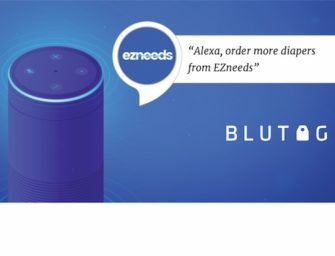 In November we launched Voicebot Says, a daily voice industry news microcast for consumption through Alexa and Google Assistant. We published each weekday for eight weeks and 40 posts delivered over 10,000 user sessions for the 1-minute news stories. Some of the bigger stories in terms of listens were in December, but the average story performance is up in January. That means fewer big stories this month, but more consistent listening which seems about right for audience growth. These numbers aren’t that large in the grand scheme of publishing. Teri Fisher’s Voice in Canada Flash Briefing was very early in that market and surely gets more traffic per episode. Voicebot.ai does many multiples of these numbers for typical articles. And, I can only publish this as a skill or Action. There is no way today for me to distribute this to podcast players (N.B. Witlingo team. This would be a good feature expansion for Castlingo to let your microcasters also be traditional podcasters. We only need that RSS URL). I listen to the voicebot podcast religiously and love the insights it brings from conversations with our friends in the voice community. Voicebot Daily is a great supplement to that. It’s an excellent way to quickly get the voice industry news I need to know to start my day. No other source provides this convenience and value to me. Great job Bret! This is so meta; the best way to get industry insights and info about smart speakers, is on your smart speaker. Bret’s insights are top in the industry. Loved the CES interviews. If usage continues to grow, we will keep providing Voicebot daily updates in audio format to supplement the written content so many readers have incorporated into their daily routines. If usage doesn’t grow, we can always look back on it as an interesting experiment. And, if you are wondering why we are writing this story, there are two reasons. First, it may build awareness of the product since we don’t do much to promote it. Second, we see Voicebot.ai as a community effort and like to share updates on our progress from time to time. Thanks again for your support and let us know what you think about getting your daily dose of Voicebot through Alexa and Google Assistant. You can always find us on Twitter and LinkedIn to share your thoughts.